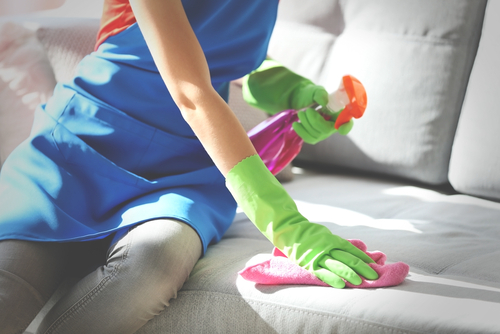 Thinking of spring cleaning your home, or maybe some upholstery cleaning? It's possible to find a highly reputable upholstery cleaning company near you who will be able to do an excellent job of cleaning all your upholstery and rugs. You may have some very excellent examples of rugs, either modern area rugs or traditional Persian rugs - you may also have furniture upholstered in easy-care synthetic fabrics or even the great Irish linen. 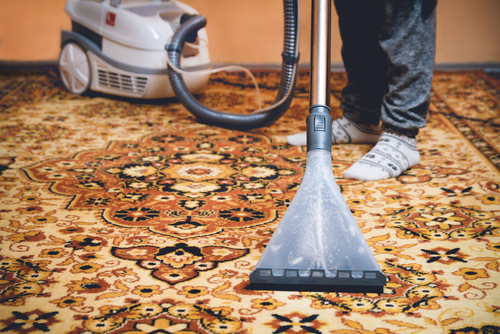 In either case, for those times when you are not quite at the point of calling in the professionals, some useful upholstery and rug cleaning tips will help you keep your furnishings in optimum condition, without too much effort or expense. As far as upholstery cleaning is concerned, if you can locate the upholstery attachment on your Hoover and talk yourself into using it every couple of weeks, you can save yourself a lot of time later on. If your sofa and chairs have removable cushions, you can take them outside and beat them occasionally. Again this is one of those jobs that isn't exactly fun, but it can extend the life of your furniture considerably, as can turning the cushions over now and again so that they wear equally on both sides. Two big enemies of clean upholstery are shoes and food, so in an ideal world, both would be banned from the living room. The reality is that we like to enjoy our living spaces, and accidents happen. Then you need to act quickly and action some quick upholstery cleaning to contain spills and stains. Leather upholstery does not only look beautiful, but they are sophisticated in appearance too. If you want to maintain this look for eternity, you just simply have to do some leather upholstery cleaning and on a regular basis. It is important to clean your leather furniture within every 6 months. You can simply use a mixture of any mild soap or body-wash and water, and rinse your furniture with a piece of cloth. Do make sure to use only distilled water if possible, because then there will be no room for discoloration and destruction. Once you are done with rinsing, do some upholstery buffing with a clean piece of cloth again, in order to keep the lustre of the upholstery intact. You can also use a mixture of vinegar and linseed oil, in the 1:2 potions, when doing the leather upholstery cleaning. Clean it in a circular motion and let it rest for at least 10 minutes and then use a clean cloth to buff it back. A good way to begin is to try and vacuum or dust the furniture on a weekly basis. Removing pet hair and dust is a simple trick that can cut down on the dirt building up on sofas and chairs. Most vacuum cleaners have upholstery attachments to help with cleaning fabric. One of the easiest and the most cost-effective upholstery cleaning tips is to use water. Using cold water works well for taking out greasy stains. Water is a clean and organic way to clean without using chemicals. Always wipe up the spills and stains on an immediate note from your leather upholstery furniture. If you don't, then the spills will get soaked in the furniture's fabric and then it will further become an uphill task to clean it. Make use of leather protectant, which you can buy from any of the furniture shop. The protectant will maintain the look and appearance of your leather upholstery. Make sure of not using furniture polish, oils, and products that has either silicone content or wax when doing your leather upholstery cleaning. If you do use the above mentioned products, then you will find a damaged and sticky piece of leather furniture. Along with oil, polish and wax and silicon based product, it is also best to avoid varnish, saddle soap, cleaners containing ammonia and bleach when cleaning your leather upholstery. These products will act as harsh elements and cause some major damage to your leather furniture, for example, wear and tear of the leather fabric, discoloration etc. If you want to avoid the drying out of your leather furniture, do take the place of your furniture seriously. Avoid placing the furniture in the direction of sunlight and definitely, keep them away from any heat emitting sources, for example, fireplace, heating vents, radiators and others, even the air conditioner. Most stores stock a wide variety of cleaning products useful for taking out stains. These cleaning products can be tested on a hidden part of the fabric to see how it works. It is helpful to do this to make sure the fabric does not react to the cleaner. Some stains seem impossible to remove. An ink stain may seem like one of those stains unless you use a simple product such as hairspray. A person can use the hairspray and a paper towel to blot the ink as many times as necessary until the ink is removed. Sometimes a simple steam cleaning machine will do the trick of perking up furniture and making it look revitalized. There are machines available in local stores for rent, or a person could buy a small machine to keep at home. A person should try to spot clean stains along with using a steam cleaner. It is important to read the care instructions on fabrics and to find out what kind of cleaners can be used. 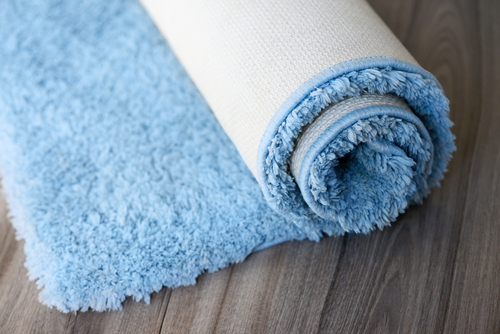 Using a deodorizer or a fabric refresher is a good way to help keep your furniture feeling new and fresh. There are also low-cost products to use on pet stains and odors. These are some of the methods, tips and advice that will help in leather upholstery cleaning, but at the same time, save you from damaging your furniture and ensure its longevity. It is also important to check out the manual, whenever buying leather upholstery and if required call a professional to undertake the cleaning process.This is meant that you always achieve the best of the best.